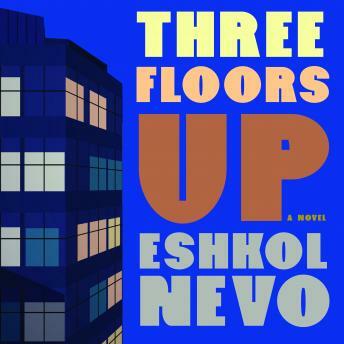 Set in an upper-middle-class Tel Aviv apartment building, this bestselling and warmly acclaimed Israeli novel examines the interconnected lives of its residents, whose turmoils, secrets, unreliable confessions, and problematic decisions reveal a society in the midst of an identity crisis. On the first floor, Arnon, a tormented retired officer who fought in the First Intifada, confesses to an army friend with a troubled military past how his obsession about his young daughter's safety led him to lose control and put his marriage in peril. Above Arnon lives Hani, known as 'the widow,' whose husband travels the world for his lucrative job while she stays at home with their two children, increasingly isolated and unstable. When her brother-in-law suddenly appears at their door begging her to hide him from loan sharks and the police, she agrees in spite of the risk to her family, if only to bring some emotional excitement into her life. On the top floor lives a former judge, Devora. Eager to start a new life in her retirement, Devora joins a social movement, desperately tries to reconnect with her estranged son, and falls in love with a man who isn't what he seems.